When you launch Heroes of the Storm directly, it would just take you to Battle.Net. The same is the case with Diablo 3. Adding the parameter -launch to D3 circumvents Battle.Net though and you can log in and use the Steam Overlay by adding D3 with this command line parameter as a Non Steam Game. However, this does not seem to work with Heroes of the Storm. 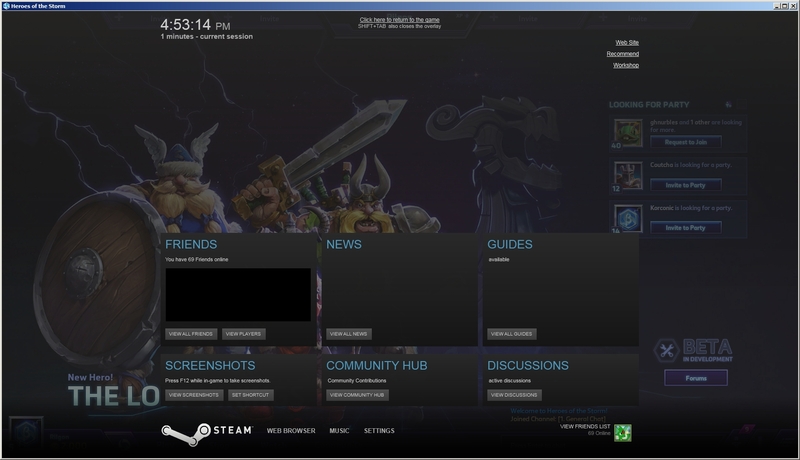 Is there any way to launch Heroes of the Storm from Steam with the Overlay enabled for streaming? Sort of how you must actually use the direct Diablo 3 executable to launch it as a non-Steam game, so too must you use the direct HotS executable to launch it as a non-Steam game. You will need to ensure that the game is kept up to date via the Battle.net launcher, however, and you will need to log in as normal, but as you can see in this screenshot, it works fine. I can't screenshot on Steam? Apply Steam Overlay to Chrome?